LOAD UP ON YOUR VIRTUAL BARBECUE FAVORITES AND HELP THE HOMELESS CHILDREN OF MEMPHIS! We won’t really send you the ribs or fixin’s, but when you buy our virtual barbecue, you’ll be making a huge difference for children aged 0 – 12 in our community’s homeless shelters. With your help, we will deliver Project Night Night bags filled with a cozy security blanket, cuddly stuffed animal, age-appropriate book, and other useful items. goes without saying that all menu items come with our unlimited thanks… and virtual sweet tea! 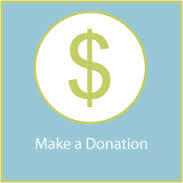 Please include the name and address in the box below BEFORE clicking the “Tribute Donation” button. If any difficulty, please email us the information at Kendra@ProjectNightNight.org.